Big Sam Allardyce – The Real Special One? There is nothing more spectacular than arriving at your new club with a capoeira routine. 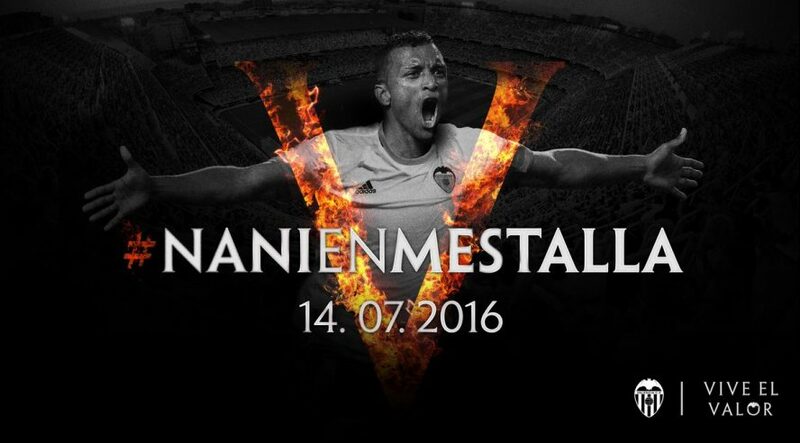 Luís Carlos Almeida da Cunha, also known as Nani, was unveiled as a Valencia player on Thursday afternoon. The Portuguese winger comes off a surprising Euro 2016 campaign in which his country defeated the heavily favored host, France to win Portugal’s first ever major international title. After his failed stay at Manchester United, Luis Nani began a slow process of rebuilding his reputation with moves to Sporting Lisbon and Turkish side Fenerbache. The winger produced two quality seasons, scoring 24 goals in all competitions (40 goals in eight seasons with Manchester United). This level of production led to a 3 year deal with the La Liga outfit. Nani possesses the ability and confidence to break down defenders off the dribble. That strength could be his weakness, he tends to over-dribble and gets caught in dead-ends. But his arrogance is needed at a club that lacks the edge. With the departures of Pablo Piatti and Sofiane Feghouli, the winger has an important role to play at the Mestalla. Arrivals come with curiosity and excitement for the future. The best way they can repay the supporters’ trust is to bring heart and soul to the team. Good luck to Nani. If he’s able to bring his capoeira routine into matches, there should be more to excitement to come.